Today we went into the Kowloon side of the city, which involves a 20 minute bus ride. We have found that if we do not do something to keep his attention, the little guy is a maniac on the bus, so we have a stash of small board books that we read to him. And today something really cool happened! We have a book that has little illustrations with the word. Like, “ball,” “duck,” and so on. 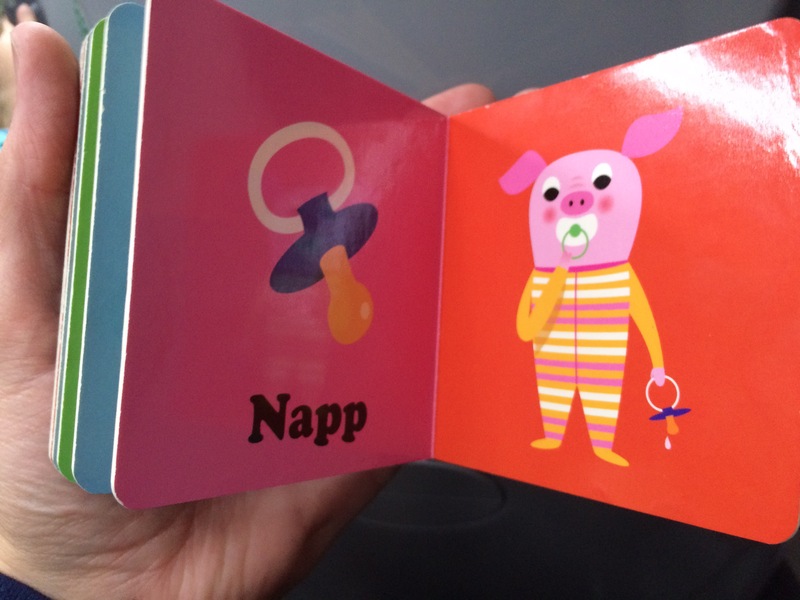 And today with the one that says “pacifier” (it’s a Swedish book so it says “napp”), he took his pacifier out of his mouth and tried to give it to the pig on the opposite page of the pacifier. Cool, huh? We always show him that this pacifier in he book is the same as the one in the illustration, so it was cool that today he saw it and drew the connection of the pacifier in the image and the one in his mouth. Very cool how quickly he learns and how much he absorbs!